Looking for a lightweight 30 cal can at a great price? Check out the Gemtech Tracker. 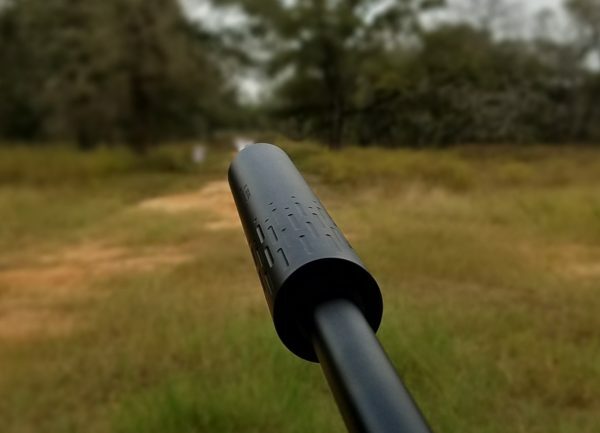 With more and more states allowing for the use of silencers in hunting the growth of the lightweight can has been growing over the last few years. Lightweight titanium cans have been around for a while and are popular in precision rifle shooting but they are also expensive compared to heavy steel units. There has been a trend, aimed at the hunter market of hybrid designs using aluminum and titanium. These types are designed for lower successive round count meaning they really aren’t ideal for use on an AR and doing mag dumps. Will they take it? Probably, but it is outside of their design window and you do so at your own risk. The reason is that aluminum used in the tubes just isn’t the right material for high heat over extended time. The upside to aluminum is that it is light, tough and inexpensive. So, if you need a can to take mag dumps or be full auto rated, this is not your can. However, if you want a great can for hunting or even low round precision use, this might be for you. According to Gemtech, 10 rapid rounds is OK, you just need to let it cool back down to ambient temperatures before going at it again. I should preface this that I don’t own a legit DB meter to do testing. The right one for testing silencers runs around 10 grand and that’s just a tad over my budget! So, I can not validate their claims. How does it sound to me the shooter? The Gemtech Tracker does a very good job at sound suppression on varying rifle platforms I have tested it on. 16″ 5.56, 16″ 6.8 SPC, 18″ 308 AR, 20″ 308 bolt and 22″ 6.5 Creedmoor bolt. To my ears, it’s on par with similar sized silencers including ones that cost a lot more. With any of the rifles it was pleasant to shoot and did not have a sharp crack to it. I would give it a passing grade for sure. Given that I RARELY shoot un-suppressed I place group size or accuracy about POI shift. 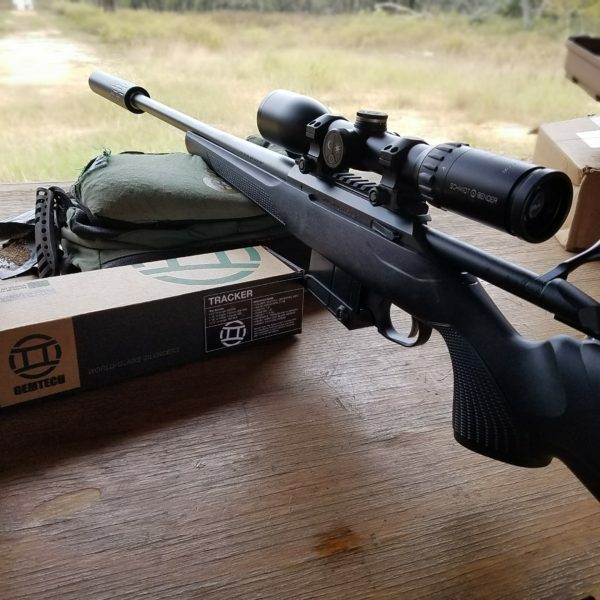 The Gemtech Tracker worked great, group sizes were consistent with what I have come to expect from the host rifles it was used on with other high quality silencers. My custom 6.5 Creedmoor bolt action will cut the same hole at 100 yards, hit golf balls at 500 and clay pidgeons at 1K. The Tracker maintained that level of accuracy. 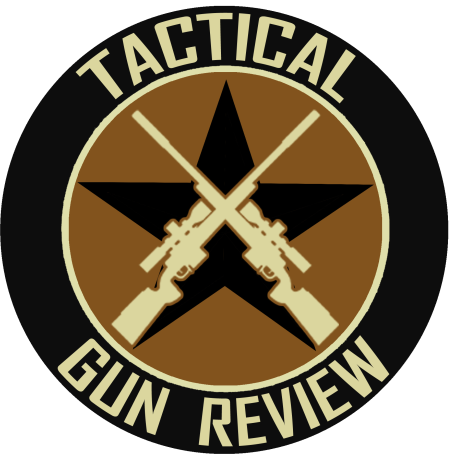 My other rifles all are very good shooters capable of 1/2″ groups and the Gemtech Tracker performed flawlessly. I want a silencer that will always group the same if I remove and reinstall. This is a big deal to me and something I always check for. I am one to always verify zero when I first hit the range or head out hunting. A tight group is great, but not if the POI moves. The Gemtech Tracker was definitely consistent and I have faith in it’s ability to make good hits. I put this at the bottom of my personal list of criteria because I almost never shoot without a can. I have got to the point I just hate shooting without a silencer. Having said that, I did my testing and even on lighter profile barrels there was minimum POI shift and it was consistently putting rounds in the same place. I would give it a thumbs up there as well. I would definitely be happy to own the Gemtech Tracker and use it in hunting or precision rifle shooting. It is priced right and just works. In fact, at the time of this writing it is on sale at $499 at the SilencerShop! That is a hell of a good bargain..